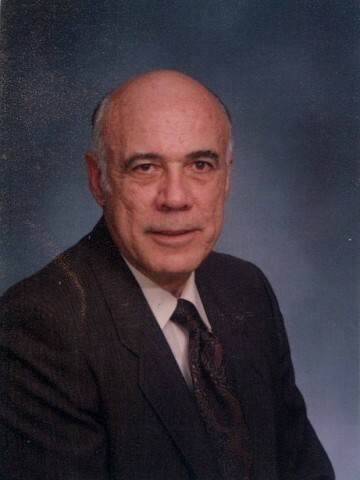 Fred Louis Clinard, Sr. of Gallatin, TN was born on March 5, 1932 and passed away on February 8, 2014. Fred graduated from the class of 1950 from North Nashville High School and was an active member in the alumni association. He graduated from Austin Peay University, and then pursued a 34 year career with Metro Nashville Water Works, where he was the superintendent of the water purification department. After retirement he then began a 5 year career with Madison Suburban Utility District. Fred was a lifelong member of the United Methodist Church. He was a certified lay speaker serving as pastor of Luton’s UMC at the time of his death. Fred is preceded in death by his parents, Louis and Virgie Clinard, brothers, James and Billy Clinard, and sister, Odell Wallace. He is survived by his loving wife of 61 years, Mary Ann Robertson Clinard, daughter Cynthia C. Thompson (Ralph), son, Fred L. Clinard, Jr.; grandsons, R.J. Thompson (Crystal), C. Matthew Clinard, Ryne N. Clinard (Sarah), and Jonathan L. Clinard (Catie); great-grandchildren, Luke Edward Thompson and Lillian Ruth Clinard; sister, Mary Elizabeth Lohr, as well as numerous nieces and nephews. The grandsons, Clyde Wright and Bill Howard will serve as active pallbearers. Honorary pallbearers will be Living Word Sunday School Class at City Road Chapel UMC, members of Luton’s UMC, and nephew, John Matthews. In lieu of flowers donations may be made to City Road Chapel UMC Chior Fund or charity of choice.Special thanks are made to Alive Hospice. A visitation will be held on Monday from 4-7pm at Hendersonville Funeral Home. A funeral service will be conducted on Tuesday at 11am at City Road Chapel UMC in Madison, TN, with visitation 1 hour prior. 3 Comments to Fred Louis Clinard, Sr.
Cynthia & family: On behalf of the Holston Conference Cabinet & the Morristown District Clergy, we send our deepest sympathy in the death of your father. At the same time, we extend a reminder of our common hope of eternal life & a blessed assurance that God sustains us in all circumstances. We hold you in our prayers. Pastor Fred was a good man and will be mourned and missed by many. Though I knew him shorter than most, he shed his glow and brightness on many lighting and guiding their path to salvation. My heartfelt condolences and sympathy to all who were touched by this dear man, including me. We are saddened by the passing of Fred, but know that he has received the ultimate healing. Fred lived his faith and inspired the rest of us to follow his example. He set high standards for himself and for others in his professional life. Fred was a devoted husband and loved Mary Ann & his family with his whole heart. Fred was able to respond to his calling to preach and share his faith when most of us would choose to retire. We were priviledged to have Fred as a dear friend and shared many memorable times with he and Mary Ann thoughout the years.